"The information in this book is excellent." See the full review of Marion Soublière's book in CanadaOne.com Magazine » Got questions about the federal procurement process? Ask away in our new Questions and Answers section. It's one thing to be seen. It's quite another to be heard, with words of your choosing that create a lasting impact. That's where M.E.S. Editing and Writing Services can help. I'm Marion Soublière, a writer and editor with many years' experience in communications, journalism and public relations. I will craft a story that is accurate, compelling, concise – and on deadline. First-hand experience has taught me how crucial a strong story is, having worked with northern Canadians whose small population struggles to be heard by the rest of Canada. To help other small businesses, I’ve also written a book on winning contracts with the Government of Canada. The federal government is a lucrative and stable market that is increasing the volume of business it does with small and medium-sized companies. 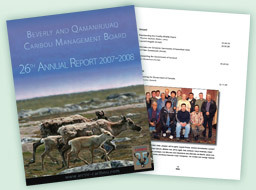 Whether writing web content for the Government of Canada, editing news releases on Canadian trade policies or producing reports like this one for an Indigenous-led wildlife management board, M.E.S. Editing and Writing Services supplies the unique editorial services that each client needs. Does your firm wish to contract to the Government of Canada? If so, the first step is to register for an Office of Small and Medium Enterprises information session, like this free webinar, Doing Business with the Government of Canada. The federal government is a well-paying market. And it’s trying to boost the amount of business it does with small firms. Learn about the rules for selling your services to the Government of Canada. Author Marion Soublière has written several posts on the topic for Editors Canada’s weekly blog. This Globe and Mail article by author Marion Soublière was part of the newspaper's The Top Tens, a wide-ranging series on marketing and other business tips for Canadian small enterprises.